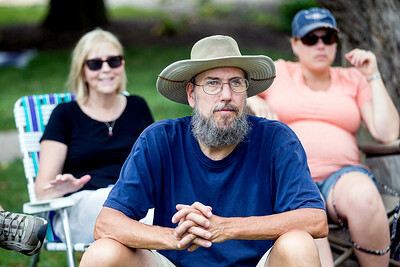 Sarah Nader - snader@shawmedia.com John Kockler of Woodstock listens to music during Sunday's 15th Annual Woodstock Folk Festival on the Woodstock Square July 17, 2016. 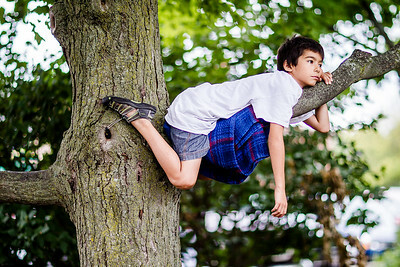 Sarah Nader - snader@shawmedia.com Ohki Akimoto, 10, of Schaumburg listens to music from a tree branch during Sunday's 15th Annual Woodstock Folk Festival on the Woodstock Square July 17, 2016. 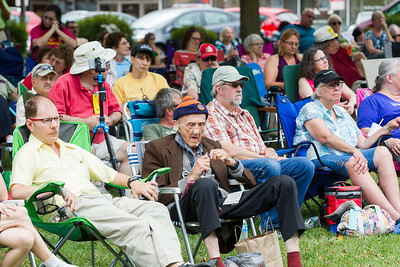 Sarah Nader - snader@shawmedia.com People gather at the Woodstock Squarer during Sunday's 15th Annual Woodstock Folk Festival July 17, 2016. 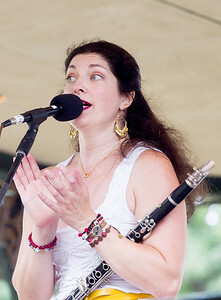 Sarah Nader - snader@shawmedia.com Allison Scola performs with her band, Villa Palagonia, at Sunday's 15th Annual Woodstock Folk Festival on the Woodstock Square July 17, 2016. 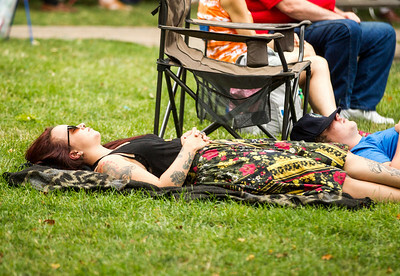 Sarah Nader - snader@shawmedia.com A women rests while listening to music at Sunday's 15th Annual Woodstock Folk Festival on the Woodstock Square July 17, 2016.